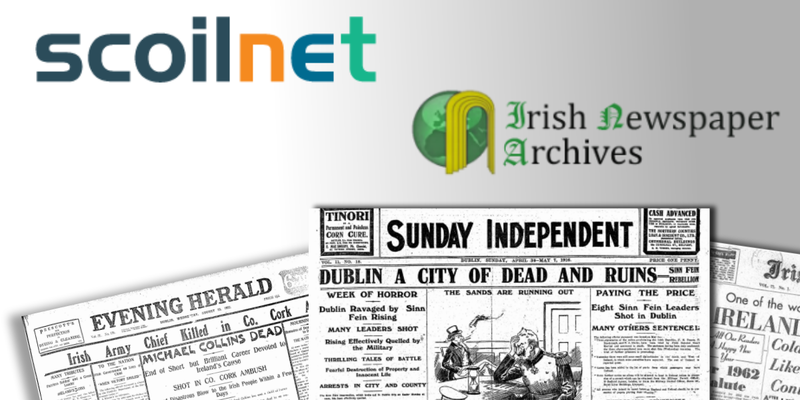 Schools will have access to the world's oldest and largest Irish Newspaper Archive via the schools network broadband. This incredible project now means that every school in the country will gain access to a national database of Irish newspapers spanning a period of 300 years. Students and teachers alike will gain the ability to peer back in time through over 9 million pages of newspaper from 69 newspaper titles nationwide. To access the newspaper archive resource you must be on the Schools network brandband system. This broadband network is provided to all schools nationwide by the PDST. Access is automatic and there is no need for usernames and passwords. 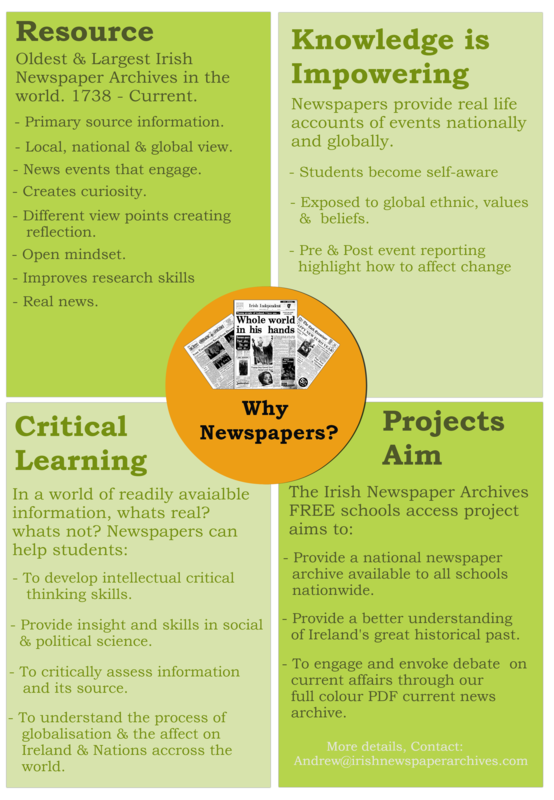 If you would like more details on the archive or the scope of the schools project please contact me : andrew@irishnewspaperarchives.com for more details. The schools access program is a pilot scheme and its success depends on the use of the archives by the schools so please spread the news wide and far and if you need more information do not hesitate to contact a member of our team. As a teacher of Irish and a teacher of Transition Year I was wondering what the newspaper archives may have to offer my students. I would,also, like to take into consideration other teachers in the school such as history teachers and teachers of CSPE. To Whom it may concern; Is there any reduction for third level students of local history, most of whom are OAP's?